There is uniqueness to being an internationally- and trans-ethnically-adopted person. Most obvious is that the children grow up in a family in which they do not look like their parents or other members of their family. They were born in another country, and that history is a part of them throughout their life because it is so visibly apparent. Given this situation, there are choices to be made. The adoptive family may ignore or make little effort to incorporate into the family the cultural heritage of the adopted child. This decision to leave the culture behind, outside the family, does not suggest that the child is not accepted or loved or cherished as their own. However, when the adoptive family also adopts and embraces the cultural identity of the child's birth culture, it enriches not only the adopted child but the entire family and extended family as well. Beyond that, when the cultural community extends and embraces both the adopted child and the family, it complements all the relationships involved. It builds relationships of commonality, shared feelings, and caring. It can be emotionally rewarding beyond measure. 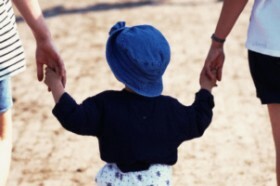 There are important considerations to be made in considering issues of international adoption. It must be understood that not everyone is suited to be an adoptive parent. Even more, not everyone is suited for international adoption. It is essential that families who adopt a child from another country acknowledge, accept, and care a great deal about the heritage of the child they are adopting, not in a patronizing or condescending fashion, but in a manner that is genuine and born out of dignity and respect for the child's birth country. Both adopted people and parents need to remember that character is more important than ethnicity. Adopted people do not have to choose between their ethnic heritage and the culture of their new family, rather, they must find the balance of both in their lives. I believe that ethnicity becomes more important as adopted people get older. Adult adopted people become more aware of the importance of heritage as they become parents and come full circle in the life-cycle of families. As adoption has evolved we've learned some things. Thirty years ago when children were adopted from Korea, parents were told, "Your children are American now. They need to forget all that was behind them so that they can adjust to their new life here." For many of us, our early, pre-adoptive memories were painful and confusing. Our arrival into our families was further complicated by language barriers. But once you turn your back on all that you remember, most of it goes away forever. As useful to my adjustment as it was, when I was four years old, to close the door on my past, I would love to remember some of those things now. All of us who are adopted come to our families with histories behind us. That truth cannot be ignored. Instead, it is important to acknowledge that you are an adopted person forever. That isn't good or bad; it just is. What is essential is to determine the best role of that fact in our lives. For the most part, adopted people do know that they are loved and cherished by their families. They feel they are exactly where they belong. And yet, many unanswered questions remain deep inside, and need to be resolved. Wondering about oneself and one's identity, trying to determine who one is and will become, is a natural part of the transition from child to teenager to adult. Adolescence is, of course, often a difficult time for all children, adopted or not. But when you add to that the complicating fact of having been born in another country, of not resembling your parents or other members of your family or community, it's that much harder to find out "who you are" and "where you belong." All of this can sometimes seem overwhelming. Those of us who believe in the merits of adoption , who care about the future for the thousands of children who, were it not for an adoptive family, would never know family at all, must pledge our solidarity to making adoption more encompassing, more "real." Adoption is not second-best; the feelings involved in love and family are the same and it is the adopted people themselves who affirm that when they come to peace with the balance of adoption in their lives. And by recognizing the additional challenges and opportunities of helping internationally- and trans-ethnically-adopted people to retain both their personal memories and their cultural familiarity, we can help them realize and cherish the fullness of their identity and place in the world. About the Author: Susan, adopted from Korea in 1956, is the Vice President for Public Policy and External Affairs at Holt International Children's Services, the world's largest adoption agency. As an adoption professional since 1978, she has directed heritage camps, motherland tours to Korea, and was founder of the International Gathering of Korean Adoptees. She is a member of the Hague Special Commission on Intercountry Adoption, and was appointed to the first White House Commission on Asian and Pacific Islanders. Susan is a nationally recognized presenter and editor of Voices from Another Place.